With the Indian economy undergoing a dramatic phase, Finance Minister Arun Jaitely stressed that positive changes are afoot after this temporary phase of turbulence. Four-day investor summit Vibrant Gujarat started on Tuesday in Gujarat, two months after government’s decision to demonetise Rs.1,000 and 500 currency notes. Addressing a seminar on ‘GST: The game changer for Indian economy’ on the second day of the Summit at Mahatma Mandir in Gandhinagar, Finance Minister Jaitley reiterated the advantage of taking bold and courageous decisions to transform Indian economy. He also stressed on the implementation of GST, and assured that, most of the issues have been resolved; few critical issues are left which will be resolved in the next few weeks. Speaking on demonetisation, Jaitley said India needs bold decisions as it is time now to clean up the table and demonetisation is going to have an impact over the course of our present and future lives. He said implementation of GST would usher in an efficient taxation system, a system that merges all the taxes and makes India into one entity, provides a clear advantage to the assesse. With demonetisation in the backdrop, GST’s implementation will strengthen Indian economy. He said that a combination of a more digitised economy with more efficient tax system will make India better and the impact of both GST and demonetization will be felt this year. Shedding light on government’s initiatives in the last two years in bringing about transparency and elimination of discretion, he said Indian economy has opened up significantly in the last two years. He further added that GST council itself is a deliberative democracy in action. 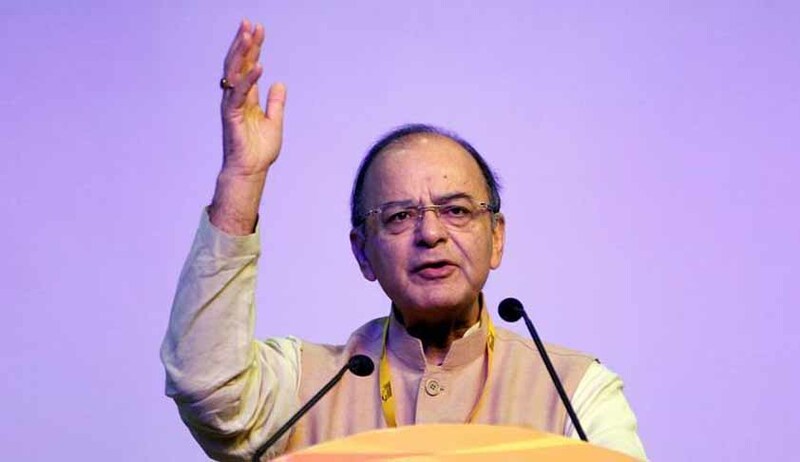 Jaitley said though the summit is branded as Vibrant Gujarat, its significance in providing a platform to showcase both Indian economy and progress of Gujarat has made it India’s foremost economic conclave. Vijay Rupani, Chief Minister of Gujarat, Nitin Patel, Dy. Chief Minister of Gujarat, Hasmukh Adhia, Revenue Secretary, Govt. of India, and Amarjeet Sohi, Minister of Infrastructure & Communities, Government of Canada, were also present on the occasion.